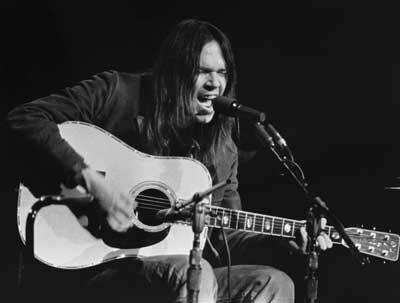 NEIL YOUNG JOURNEYS marks the third film between Demme and Sony Pictures Classics. Previous films include JIMMY CARTER MAN FROM PLAINS and RACHEL GETTING MARRIED. In NEIL YOUNG JOURNEYS, Young’s mesmerizing performances are presented in full, along with passages from the sometimes funny, sometimes wistful ride into town. Demme and Young previously collaborated on two other performance films, Neil Young Heart of Gold, which chronicled Young performing in Nashville, the year after he survived a brain aneurysm and Neil Young Trunk Show, which memorialized a Pennsylvania concert during Young’s “Chrome Dreams II” tour. “I’m joyful about SPC becoming the distributor of NEIL YOUNG JOURNEYS. I had a blast working with them on RACHEL GETTING MARRIED recently so this is just a great homecoming for me,” states Director Jonathan Demme. “With their latest collaboration, Neil Young and Jonathan Demme are a match made in movie heaven,” adds Sony Pictures Classics. This entry was posted on Wednesday, October 12th, 2011 at 3:16 pm	and is filed under News. You can follow any responses to this entry through the RSS 2.0 feed. You can skip to the end and leave a response. Pinging is currently not allowed. « Jaleel White To Host New Game Show for the SYFY Network!!! Told you I'm never going back.